Tarot Spotlight is back! The blog feature which allows you to meet and mingle with the Hierophants and High Priestesses of the Tarot community will be going strong throughout 2015, and I'm delighted that the first interview for this year is with Matt from Ashes and Wine Tarot. A qualified holistic reader with awesome vision and wisdom, Matt's perspective on the cards and his approach to the world of online business interested me from the outset. Find out how his degree has helped him produce great content, which card describes his reading style and what his plans are for 2015.. I feel like your star is already rising in the Tarotsphere, which is so awesome! I was initially attracted to your slick website. Everything about your online presence looks sharp and eye-catching. Do you find the visual branding side of things particularly enjoyable and do you have any tips about that stuff for other Tarot biz owners? Matt: Thank you so much! Yes, I really enjoy the visual aspect of social media. I am nowhere near an IT or HTML expert, but I understand the importance of branding and how it can help a business grow. You want to grab people’s attention initially but then keep your content interesting so that they stick around. That’s always been my goal with any Internet platform that I utilize; have people like what they see and then like it even more after they’ve explored it a bit. When I stared my site I took a look at other people’s sites whose look I admired and then combined it with my own ideas. I’m a huge fan of sleek, modern, black-and-white-with-with-a-touch-of-color looks, so that’s what I was going for. I bought a domain name and host from GoDaddy and WordPress and then dove into as many online and YouTube tutorials I could find. It was definitely a long trial-by-error process, but I love a good opportunity to teach myself something new. You're currently working towards a certification as a Metaphysical Practitioner. What does the study entail and how will this qualification potentially inform your work with Tarot? Matt: The Certified Metaphysical Practitioner course is part of a great program from Marissa Moondaughter at moondaughter.com. It’s a 29-week self-taught course that covers Tarot, crystal and stone healing, lunar flow, and chakra balancing. 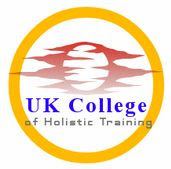 You spend X amount of weeks studying each program and at the end receive your certification which is accredited by the World Metaphysical Association and the American Council of Holistic Healers. I’m alway looking for ways to educate myself in forms of healing and metaphysical practices that I can bring to my readings and clients. Anything that I can do to help enhance and empower readings I jump at, and this certification covers all the bases. It’s my hope to be able to touch on the phases of the moon, chakra imbalances, and to speak informatively on what crystals or stones may help or enhance a client before, during, or after a reading. I want to be able to place as much power and insight in their hands as possible, and this course has really given me the tools to start doing that. If you had to describe your reading style with a Tarot card, which one would you choose and why? Matt: The Magician, hands down. That card to me speaks volumes on self-empowerment, manifesting your dreams and goals, and using the tools you have in both physical and spiritual forms to help deliver what you want or need. I try and empower my clients to actively look at their situations and see what can be done or continued to be done to get to where they want to go. I do not and cannot by any means predict the future. I can and will, however, take a look at their situation, examine what may have gone on, see where they may be at currently, and then use those observations to give them proactive insight. I want my clients to walk away feeling empowered and confident, and to me The Magician speaks to those aspects so clearly and powerfully. At what point did you realise you wanted to give paid readings and what were the first steps you took? Matt: I took very modest steps at the beginning. When I felt confident with sharing my Tarot knowledge with others besides my two cats, I started my Instagram account. I posted a card a day to not only continue my education in the card meanings but to hopefully reach other Tarot readers and enthusiasts as well. Once I gained a decent following I began offering free readings via e-mail and video to help further my reading abilities and help gain more confidence. It went over surprisingly well, so I then mustered up the courage to become a free reader over at Biddy Tarot. That experience for me was so, so helpful, and I am so grateful that Brigit offers that program. If you’re serious about reading for others, especially in the form of e-mail, I’d highly recommend it. 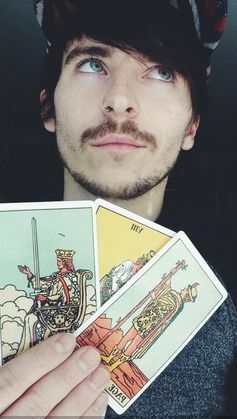 I had (and still have) such a great experience, and it really gave me the needed confidence in recognizing I wasn’t half bad at Tarot. After a few months, numerous readings, and some amazingly positive feedback, I opened up my Etsy shop and began giving paid readings. I love your blog on the Ashes and Wine website. You are a super prolific blogger, always producing quality content. What kind of role do you think blogging plays in your journey as a reader and biz owner? Matt: Blogging to me is half marketing, half creativity. I hold a degree in Journalism, so I always approach my blog posts from a journalistic point of view. I try to be informative, objective, and educational while retaining a unique voice and perspective. As a business owner producing quality content is of the utmost importance. You want to show your peers, your clients, and your potential clients that you not only know what you’re talking about but that you are passionate about it as well. Blogging for me is a chance to share thoughts and ideas on a subject I love with a medium I feel confident in. I don’t believe the New York Times will be knocking on my front door anytime soon, but writing has always been something that’s come natural to me. It lets me express myself in a fly-by-the-seat-of-my-pants kind of way, and it’s something I can do from anywhere; my Card of the Day posts are usually done on my morning train rides! 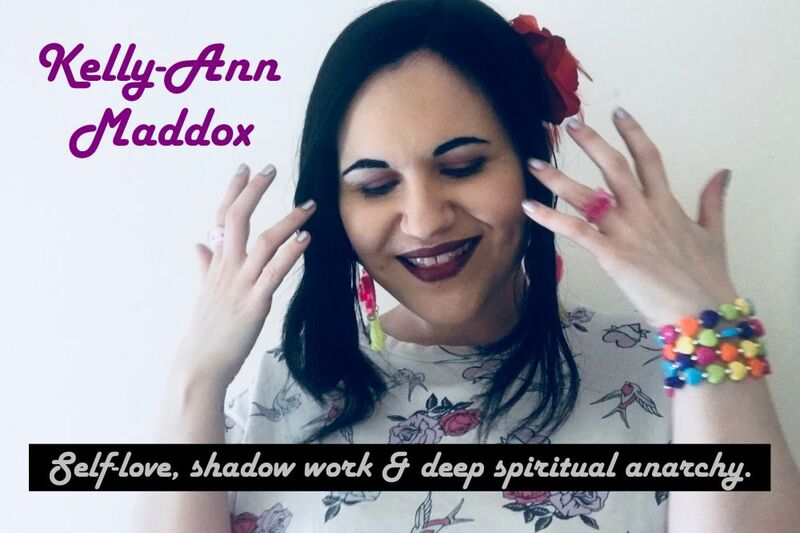 My blog helps let readers know that I am actively pursuing Tarot on a daily basis as well as allowing me to continue my education as a Tarot professional. There’s always something new to learn or observe about these cards, and I use blogging to help inform myself and others whenever I take to a keyboard. What are your plans for Ashes and Wine in 2015? 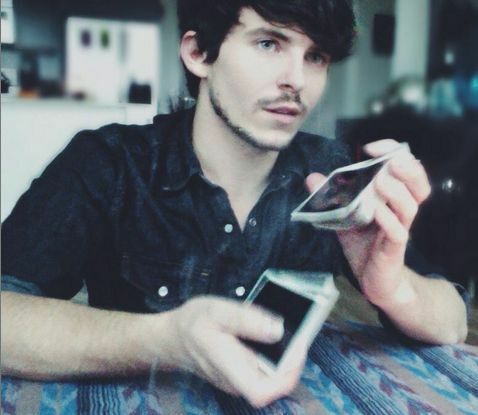 Matt: I would love for Ashes and Wine Tarot to become my full-time gig. If I could wake up every morning and help empower client after client in realizing their full potential, I would be the happiest of campers. It’s such amazing work, and I wold love to be able to do it on a full-time basis. I also want to get out from behind the computer and reach out to the Tarot community within Chicago more. This city is amazing and holds such potential to achieve whatever you want. I’d love to teach classes and workshops, give courses, and work with other Tarot enthusiasts and readers in educating on, learning about, and sharing in Tarot and other metaphysical practices. I have some pretty big plans and dreams, and I honestly feel like 2015 will be a powerful year for not only myself, but others as well!